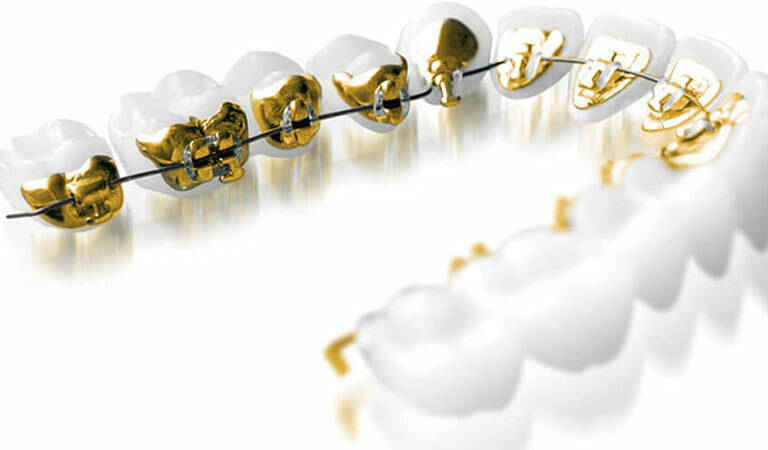 You may feel like you are the only person in the world that has had to deal with braces. The truth is that the issue of improperly aligned teeth has been a problem for people as long as there have been people. In the same vein, people have been trying to straighten their teeth for centuries. Egyptian mummies have been found with metal bands on their teeth, which may have been held in place with strings made of catgut. In ancient Rome, people tried pushing their teeth into place with their fingers. In the 18th century, a Frenchman by the name of Pierre Fauchard created an appliance that looked like a horseshoe. People put their teeth through its holes. (And you thought your braces were uncomfortable!) Another method was to push strings or bits of wood between the teeth. In 1822, the first set of headgear was invented, and in 1840, a man by the name of Chapin Harris came up with the idea of using bands to straighten teeth. It would not be until the 1970’s that brackets would be attached to the teeth with adhesives. Now, there are clear aligners, ceramic braces, and other varieties of orthodontics to make straightening your teeth as easy and comfortable as possible. So, if you are looking in the mirror and wondering how you are going to manage with those braces, remember, it used to be a lot worse! You may not realize just how easy you have it! Orthodontic Specialists of Lake County call 847-223-2876 today!